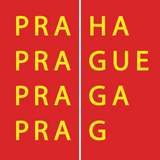 The Benedictine Convent of St. George ranks amongst the oldest standing buildings of Prague Castle. The Baroque facade of its church conceals a basilica from the year 920, founded by the father of St. Wenceslas – Vratislav I. 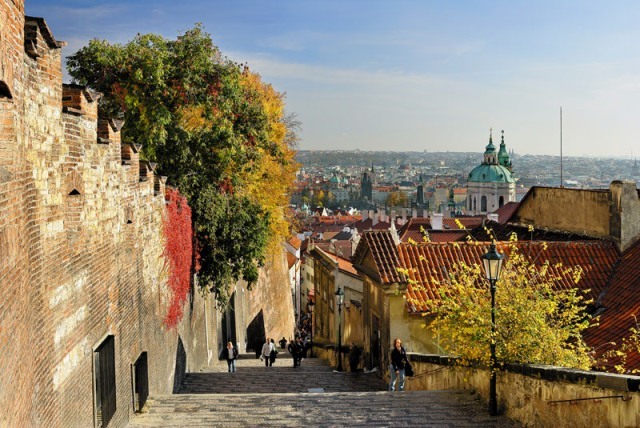 Today the National Gallery and its collections of Rudolphine and Baroque art are situated in the convent complex. The Interior of the Basilica of St. George is the result of alterations from the middle of the 12th century. The convent, founded in 973, is the oldest monastery in the country and served as an educational institution for genteel Bohemians. 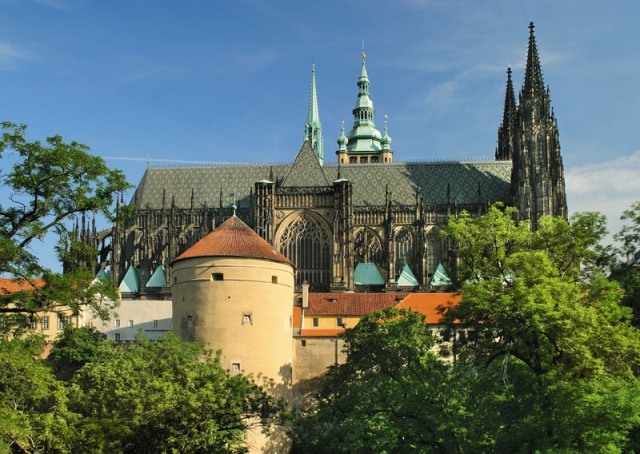 Přemyslid princes are buried in the convent church, including the founder of the church Vratislav I († 921) and his mother, St. Ludmila († 921) – the grandmother of St. Wenceslas. 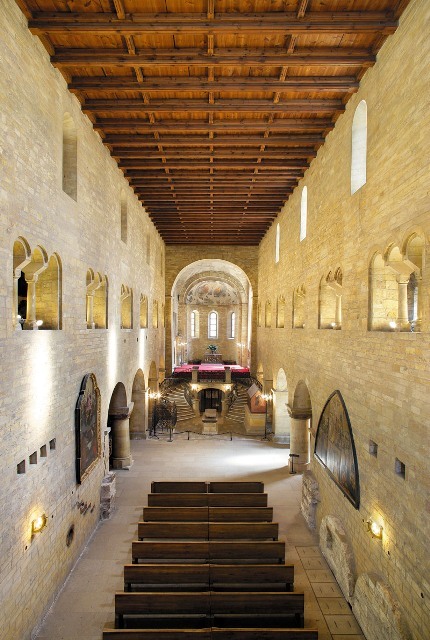 The vault chevet of the main nave and the vault ends of both side naves are decorated with Late Romanesque paintings from the first half of the 13th century. 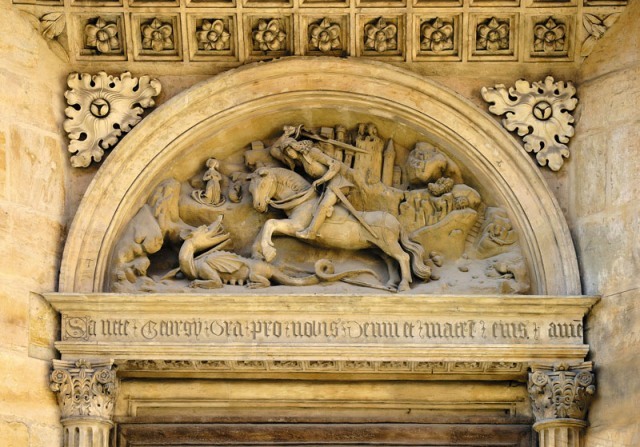 The Renaissance-styled southern portal of St.George’s Basilica has a tympanum with St. George slaying the dragon. Vikářská ulice (Vikářská Street) joins to the northern side of Jiřské náměstí (St. George’s Square). From here, you can walk along to the northern fortification with the Mihulka artillery Tower built at the end of the 15th century. Suprisingly, it never served any military purpose. During the reign of Rudolph II, alchemists kept their workshops here. Later, gunpowder was stored here, causing an explosion in 1645. Luckily, the tower was so well-built that it remained standing. Jiřská Lane (St. George’s Lane) slopes down around the southern side of the Convent of St. George. The classicist Institute of Nobles runs down Jiřská Lane opposite St. George’s Basilica. 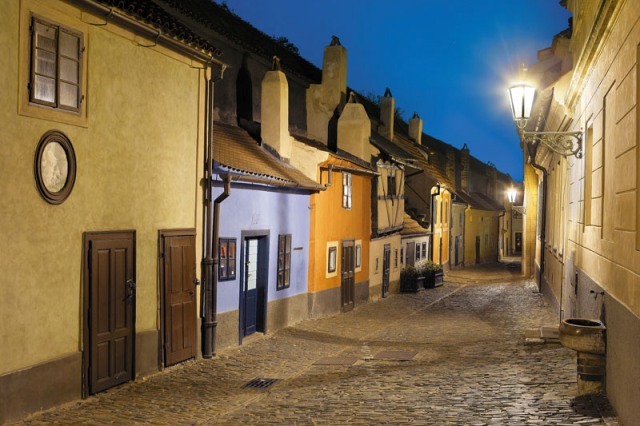 Built in 1753, on the site of the Renaissance styled Rožmberk Palace, Jiřská Lane runs along the length of the Lobkowitz Palace, where you will find a National Museum exhibition, and the Renaissance-styled buildings of the Highest Burgrave, built in 1555, to the Black Tower. The extensively restored premises of the medieval seat of government, The Highest Burgrave, boast interiors with perfectly preserved Renaissance fittings. 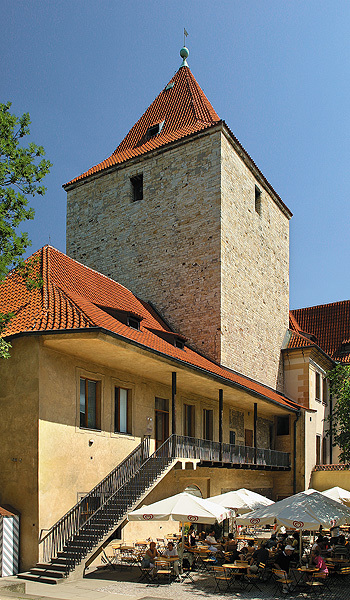 The Romanesque Black Tower], built in 1135, served as a prison. The Renaissance East Gate from 1560, stands beside the Black Tower and opens onto the Old Chateau Steps in the direction of the Malá Strana (Lesser Town) and to the Opyš, where there is a wonderful viewing terrace on the site of the original fortification, and from where, at one time, a canon shot announced midday to the citizens of Prague. 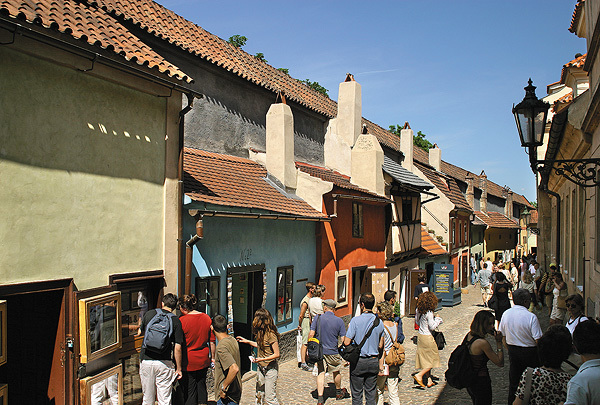 You can turn from Jiřská Lane onto the picturesque Zlatá ulička (Golden Lane). 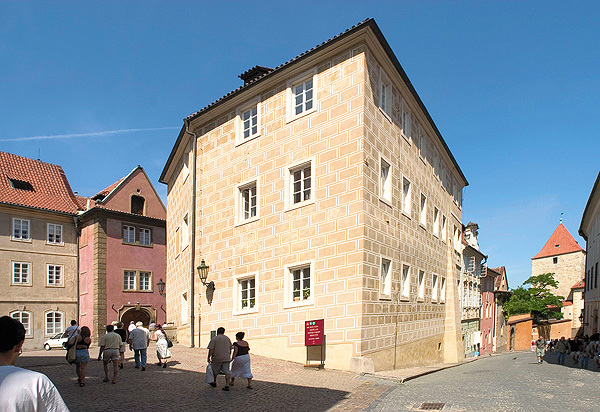 This attractive Renaissance styled quarter, connected to the castle fortifications, gives us a view of what the lodgings for castle servants and personnel probably looked like. From 1591, “useless menials”, as well as castle marksmen and later, goldsmiths, lived here. Franz Kafka stayed here for a short time between 1916 and 1917.